Why Is a High PH Bad in Your Body? Several distinct tastes are discernible to the human tongue. These include the four basic tastes, such as sweet, sour, bitter and salty, plus the more newly added "umami," or savory. These allow the taster to evaluate the foods he eats as a very primitive test of what is safe to eat versus those things which might be dangerous, like toxins and poisons. Humans do develop specific taste preferences, which make them crave or seek out specific foods. The sour taste comes from higher acidic foods such as citrus, which includes lemons or limes. Some of the benefits of this particular taste include cleansing tissues in the body and increasing your body's ability to absorb minerals. The sour taste is caused by a hydrogen atom, or ions. The more atoms present in a food, the more sour it will taste. Examples of sour foods include fermented foods and certain dairy products like yogurt and sour cream. These foods aid in digestion, circulation and waste elimination. The bitter taste, on the other hand, comes from those foods with stronger, more earthy flavors, such as leafy green vegetables, coffees, teas and spices like turmeric. It has a host of benefits such as detoxifying the body and aiding weight reduction while providing antibiotic, anti-parasitic and antiseptic qualities. It also reduces nausea, though the bitter taste alone may not be particularly appealing without being enhanced by other flavors. This is true for some vegetables such as zucchini or eggplant. Some bitter foods require a more mature palate. Domesticated vegetables have been cultivated to have a sweeter, more pleasing taste. More bitter vegetables and herbs have higher health qualities such as stimulating the stomach lining to promote better digestion. Bitters also help the body stimulate a release of bile into the intestines to assimilate fats, as well as regulate the pancreas and its secretion of insulin. This is especially helpful to those who suffer from diabetes and hypoglycemia. While using water to "de-bitter" these vegetables and herbs can make the food more palatable, it also reduces its health impact. Perhaps you have seen the map of the tongue that indicates certain tastes are detected on certain spots on the tongue, but this archaic theory has been debunked for decades. Instead, science has discovered that the tongue is covered by taste receptors, which are proteins that detect taste molecules. This helps the taster decide which foods to eat or avoid. The protein that detects sour tastes helps humans keep from ingesting spoiled or unripe foods. How Does Homeostasis Affect pH Level? Voight, Ginger. "The Difference Between Sour & Bitter." 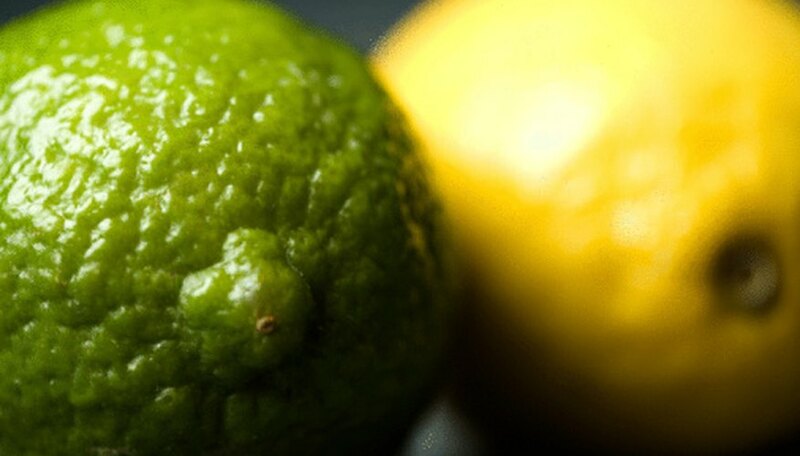 Sciencing, https://sciencing.com/difference-between-sour-bitter-8551852.html. 25 April 2017. What Chemical Compounds Are Thought to Be Responsible for the Tastes of Bitter, Sour, Salty & Sweet?